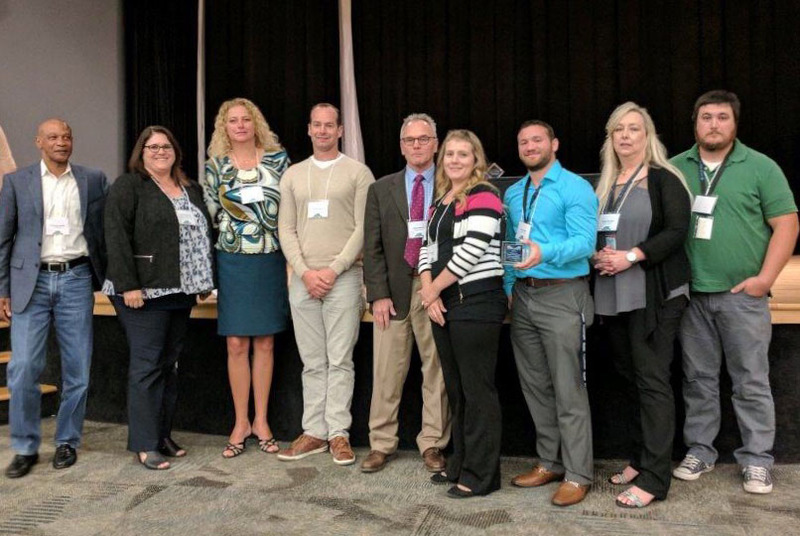 SEATTLE – A Department of Corrections Reentry Transition Specialist Team has earned an award for its work to help and support incarcerated individuals successfully transition back into the community. meets and exceeds an organization’s standards, vision and values. Members of the reentry transition specialist team were Reentry Project Manager Susan Piccini and Transition Specialists James Amos, Jason Few, Misty Liles, Jennifer Pace and Franklyn Smith. The selection committee consists of peers who work in the reentry field. Reentry Systems Administrator, Jim Harms, says the team has been working together to improve public safety by adding resources that will create a sustainable transition process and encourage close collaboration among DOC staff agency-wide and community- and faith-based partners. “They are committed to coordinating systemic and tangible reentry practices with the Department of Corrections to advance the returning individuals’ opportunities for success, thereby reducing recidivism and increasing public safety,” Harms said. He mentioned some of the improvements that staff have made include using collaborative facility- and community-based care teams. The care teams use a continuum of care case management model with transition specialists serving as the main points of contact and support for individuals in the reentry process. The specialists create thorough plans that include finding suitable housing, employment, and substance abuse treatment, medical and mental health care and community-based programs. After individuals leave prison, the specialists continue helping them with other barriers associated with transition.